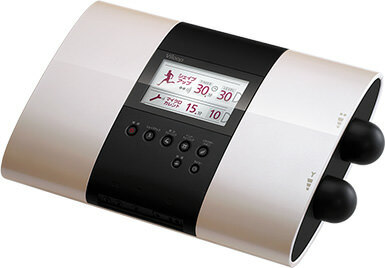 Product Introduction - Riccoh Co., Ltd.
Not content with daily health management, we aim to create beautiful, attractive bodies. This is the latest industrial model that further improves on existing high-frequency complex wave EMS devices that train the inner muscles using patent-approved "double impact waveforms". This is the highest-level home EMS device that can effectively and forcefully move the inner muscles deep within the body using patent-approved "double impact waveforms". In addition to potential and heat treatments, seasonal course modes are available to enable the selection of treatments suited to the season, high-pressure scattering using specially-processed flat ergot urethane, and calming 1/f tremor functions. 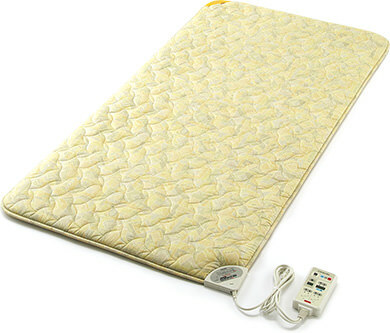 A light, flat, pad-type sleep treatment device that can be used for potential and heat treatment on beds and mattresses. 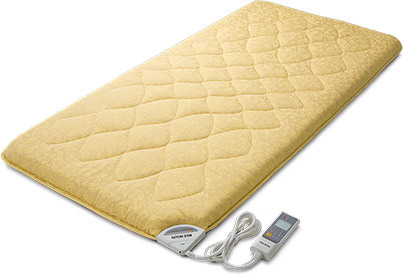 Extreme infrared radiation is used to maintain heat and make sleep more warm and inviting. This pillow uses a special ergot (fungal) urethane to implement a magnetic treatment that diffuses head pressure, implements good ventilation, and makes turning over while sleeping in bed easy. 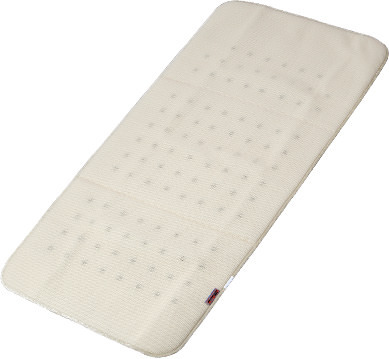 This is a flat, pad-type magnetic treatment device, pleasant in bed, that uses cotton raschel with excellent moisture absorption, ventilation, and elastic recovery.